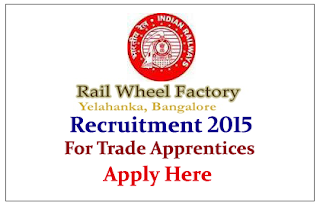 Rail Wheel Factory is recruiting for the Post of Trade Apprentice. Eligible candidate can apply here on or before 15th July 2015. 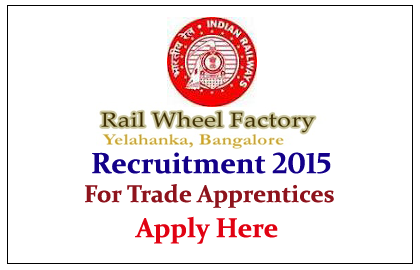 Company Profile: Till early 1980s Indian Railways was importing about 55% of requirement of wheels and axles. Indigenous capacity was available only at Tata Iron & Steel Company [TISCO] and Durgapur Steel Plant [DSP]. How to Apply: Interested and eligible candidate can send their application to below mentioned address on or before 15.07.2015. For more details kindly check official notification.